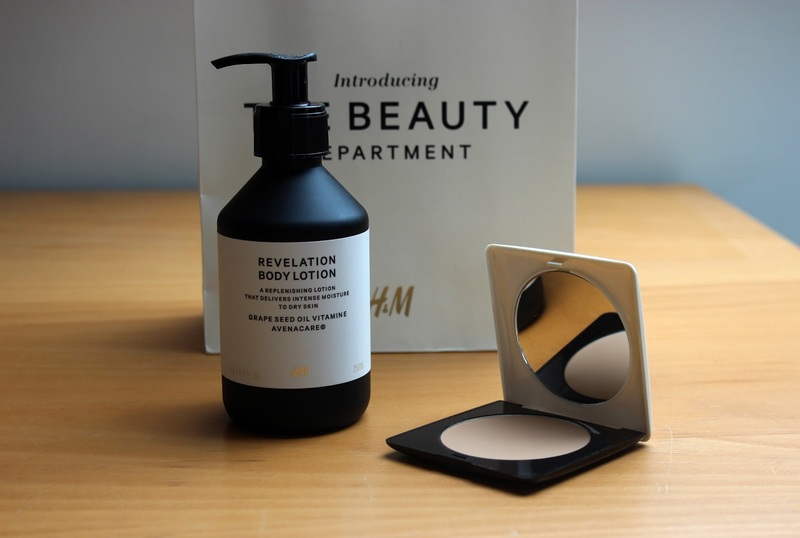 This month H&M relaunched their beauty department and filled it with new, exciting products. If you are a fan of the brands sibling '& other stories' you will love this. 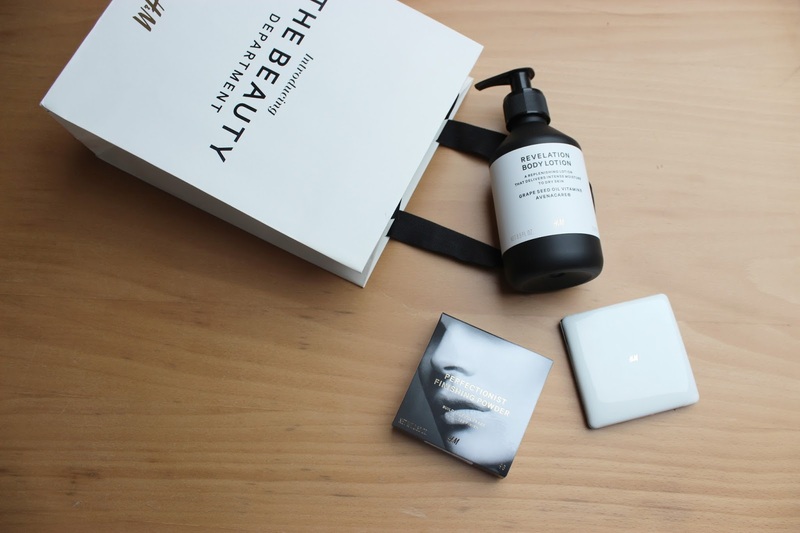 I swung by the Oxford St store last week where 'The Beauty Department' has taken over a large space on their Ground Floor. Rows of every colour of eye shadow and shade of powder fill the space along with an area to try the products. Alongside the make-up there are new launches in skin care and hair styling with prices starting at only a few pounds. I picked up a couple of products including this Revelation Body Lotion which is fantastic! The creamy texture soaks in quickly and leaves skin glossy and soft. It also smells amazing. 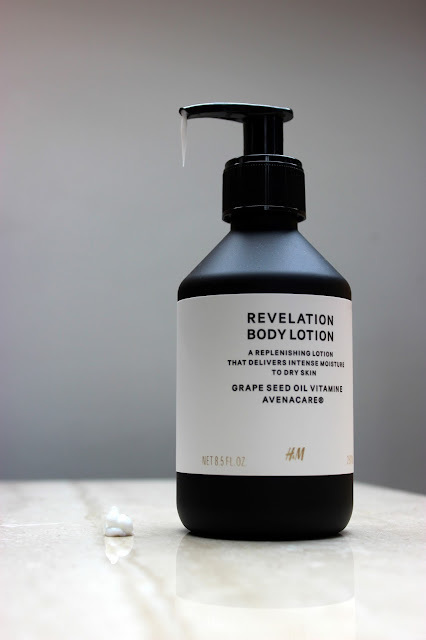 The grape seed oil and vitamin E keep skin well moisturised. I also picked up a slim packaged finishing powder that I have been carrying around with me all week. The soft powder is perfect for topping up your make-up half way through the day and for setting newly applied liquid foundation. If you can't make it to store don't fret as a lot of the collection is also online! Its selling fast though so check it out today here.